Where has the time gone? When I counted up how many months old Levi is now, I was surprised that he is 30 months old! He is such a big boy now too. He’s grown into such a sweet and compassionate boy. He loves to give kisses and hugs and “smuggles”. He still likes to hold my hair but not as often as he used to. “Why?” is definitely a favorite word in this house. Much over-used. I do my best to answer all the “why”s , but sometimes I fizzle out of answers and come back with the cop-out answer “Cause”. So now when I ask Levi why he did something, he answers back with that annoying little “cause”. Levi is getting better all the time at helping pick up toys and do little jobs to *help* Mommy. He is unmotivated at times to clean up toys but once Tru and I are working with him, he usually does a good job and you can see the satisfaction that both boys have over a job well done. Once we get everything picked up, I usually run the vacuum. Levi always runs to get his toy vacuum and sweeps nearly the whole time that I do. So cute! I’ve found that if I have the boys clean up in the afternoon with me, they will usually keep the messes picked up the rest of the evening. I’ve even heard them reminding each other to not make a mess. It’s really cute how they work together. What is not so cute is how they fight together. We have been relatively fortunate that they haven’t really been too aggressive toward each other…. until recently. Now I’ve seen them becoming more easily ticked off and this has resulted in frequently hitting and pulling hair etc. We are working on it but there’s only so much that I can do. I have noticed that sometimes having them sit together side by side in time out actually helps them not be so angry with each other. Anyway…. A few days ago, Levi learned how to climb out of his bed (playpen). He’s pretty well outgrown it anyway but we hadn’t decided what to move him to yet. This morning, Truett climbed out of his bed (crib) for the first time ever! (Unbelievable considering he turns 4 in 3 weeks and has never climbed out yet) I think it is time to make the switch to big beds for both of them. Tru already has a big bed in his room, so that is easy enough. Now I need to figure out what to do for Levi. This morning he came running into my bedroom bright and early and declared “I done sweepies! (sleeping)” I was most definitely not done “sweepies” myself so he sat on my floor and played with a toy for a bit until I got up. Riding bikes on the sidewalk. DH and I want to get the boys some powered 4-wheelers soon. I imagine they would have so much fun with those! Dry erase boards!! Oh, the sadness these cause when it’s time to put them up…. Playing with the cat. I.e. chasing it and trying to pick it up. Thankfully it puts up with the boys, mostly. Playing in the sandbox either here or at the park. Feeding pigger with Daddy. Those boys and DH love that pig. Me? Not so much. But I’m happy for them to have their noisy, stinky garbage disposal. Levi really loves to work on ANY type of art project, or *schoolwork*, as he refers to it. 😉 Tru does work in his preschool books and Levi likes to be included. I found some preschool workbooks really cheap and some of them have things in them that Levi can do. He especially enjoys putting stickers on the correct shapes and he’s getting the hang of circling items. I’ve started letting him cut pieces of paper with kids scissors too. He will sit there and cut paper until it’s nothing but confetti. He knows all the colors quite well. He can count pretty far, I think I’ve heard him go past 12. He’s getting the hang of some letters now too, but can’t recognize them by sight yet. Tru loves to watch Leapfrog DVDs, and even though Levi doesn’t like to sit and watch TV at all, he hears what is playing and I hear him singing the songs off of kid shows sometimes. Kids are such absorbent little sponges! So receptive to learning. I wish I could remember some of the cute stuff Levi has been saying lately. Hardly a day goes by without him saying something funny that makes me laugh. I need to jot it down but oftentimes I’m driving or busy and can’t write it down, and later, I’ve forgotten. I also wish I had more video of Levi talking. I realized the other day that I haven’t taken much video lately and lots of the cute transitional phases of Levi learning to talk, haven’t really been recorded. 😦 He talks like such a big kid now. Anything Tru says, Levi repeats. Tru will say “Can we go to the little cart store, Mommy?” and I will answer him. Then immediately, Levi asks the same exact question. He learns so much from Tru! Dear God, thank You for this beautiful little boy. This sweet little caring person who calls me Mommy. Thank You for the blessing of getting to love him and take care of him. Thank You for all the love and joy that he adds to our family. Please watch over him and protect him as he grows and learns. Keep him strong and healthy physically, mentally and spiritually. In Jesus’ name, amen. How far along? 28 weeks 4 days (8-31-17) I skipped writing my 27 week update but I did take a picture. I skipped taking my 28 week picture though. 😉 I can’t believe I’m in the third trimester now! Exercise? I’ve done the elliptical twice this week. I’m not sure if I’ll have time to squeeze in another day or not. I like that it seems to loosen my body up. Oddly, I’ve had some muscle stiffness lately. I’ve been doing a LOT of stretches lately. They help, to a degree. I’ve started doing kick counts more regularly recently. I downloaded an app yesterday to make it easier. It’s nice to have the app and be able to track his more active periods and get an idea for what his normal time is to pass the counts. This part of pregnancy always makes me nervous. 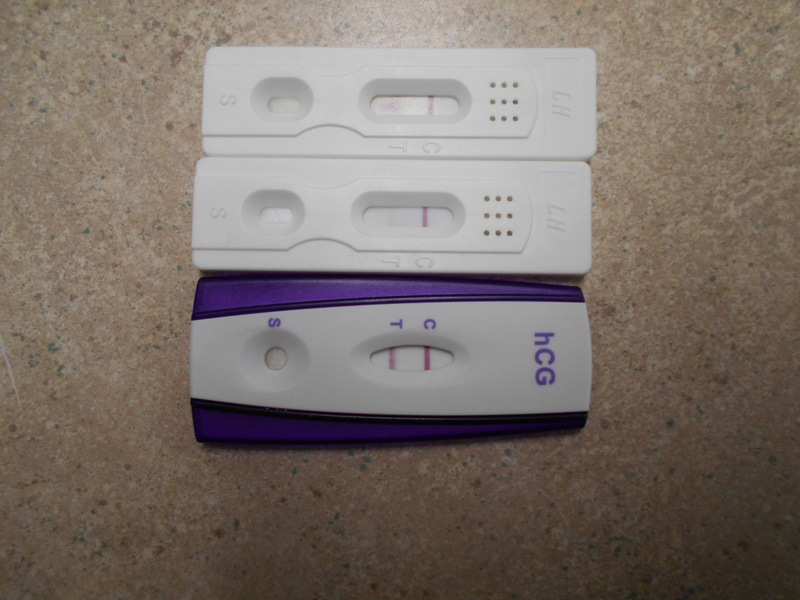 Maybe even more so than the first trimester. We have a 4D ultrasound scheduled for tomorrow!! I am so excited! I really waffled on whether or not to do it because of the expense. But honestly, I really wanted to do a 3D with Tru and Levi and I just don’t want to pass up the opportunity again. Hopefully it goes well and we get good pictures! I was reading back on my pregnancy posts from Tru and Levi, and I think this pregnancy feels more similar to how I felt with Truett. I feel pretty good really! I am definitely in the nesting phase as there is just so much I want to get done lately and I get one thing done and don’t really feel any better about my to-do list because there is always another thing I want to do. Most of the stuff is really not vital at all to get done, but don’t try to tell my nesting brain that! I froze one meal this week when I made a double batch of meatloaf. I have more ideas of things I can double and freeze as I do our regular cooking. But if anyone has a good freezer recipe, I am completely open to ideas!! I don’t have a ton of positive experiences with freezing meals. (For example, potato soup was a horrible idea!) So, if you have a tried and true recipe, please do share! Thank you! Dear God, You know I have had some extra worries this week. Please continue to carry us safely through. Watch over little Zane and sustain his life according to Your will. Please keep him safe and healthy. In Jesus’ name, amen. Cravings/aversions? I just can’t go there with seafood. Exercise? Zero days this week. Aside from a very small bit of light stretching, I haven’t done any kind of exercise. I babysat my cousin’s 5 year old son 2 days this week and DH was off for Labor Day so we took the boys to the lake for their first ever fishing trip. (They didn’t catch anything but they loved it and were so adorable!) I had to run errands on thurs, and on tues I cleaned and sat around the house. It’s all good though. I am taking advantage of time that I have to rest right now and not too concerned about sticking to a schedule. Hopefully next week. Sleep? I’ve been giving myself a foot massage every night because it seems to help with the restless legs. Sleep isn’t the best right now but I don’t seem to need as much lately. Bump? Lots of practice contractions. I’m not sure if I mentioned it, but they are a lot stronger this time around. The Dr said that’s because of having gone through labor before. My bump feels extra low and heavy. I still think Zane is a bigger baby than Tru or Levi. I tried looking at my blog entries with them but I’m not sure what they were weighing at their growth scans around this point. We have a check-up and growth scan in 4 days. I’m really curious to see how much he weighs! Zane is having hiccups about 5-8 times a day/night. Tru had them really often like this but Levi did not. They last around 10-30 minutes and I notice that they are around the same time every day. It’s pretty strange really…. My sister is working on some maternity pics for us. I am excited to see how they look! I’ll be honest, this week has been hard for me with anxiety. I’m not sure why exactly. I had a few very rough days/nights. I’m sure all the changing hormones aren’t helping. We had our 4D ultrasound last week at 28+5 and it was great! The tech said we would have had better pictures if there was more fluid (Oh, please tell me we aren’t going to repeat the low fluid issues that Tru had!) but we did get a few good ones. Z just sucked on his fingers almost the whole time. The tech kept saying how much she wished he would move his hands so we could get better face shots, but I thought it was adorable how he just kept sucking away on them. I think it was his left hand he was sucking on, so I wonder if he will be left handed? The tech said he already has hair and showed us his hair sticking up. SO cute! He definitely looks to have my super huge nose. 😉 I think he has more of Tru’s chin and forehead. From the side, I see Tru. But straight on I think I see a lot of Levi. I guess time will tell! Dear God, thank You for carrying us safely though this week. Please continue to watch over and protect Zane as we approach the end of this pregnancy. Thank You for all your love in blessing us with this beautiful baby. In Jesus’ name, amen.